Fruit Heigts, Utah-Stanley Jonathan Packer was born at Ft. Francis E. Warren in Cheyenne, Wyoming on August 28, 1944, to Wendell J. Packer and Arline Beck Packer. He died on Saturday, August 26, 2017. The last two weeks of his life he was constantly surrounded by those he loved most. 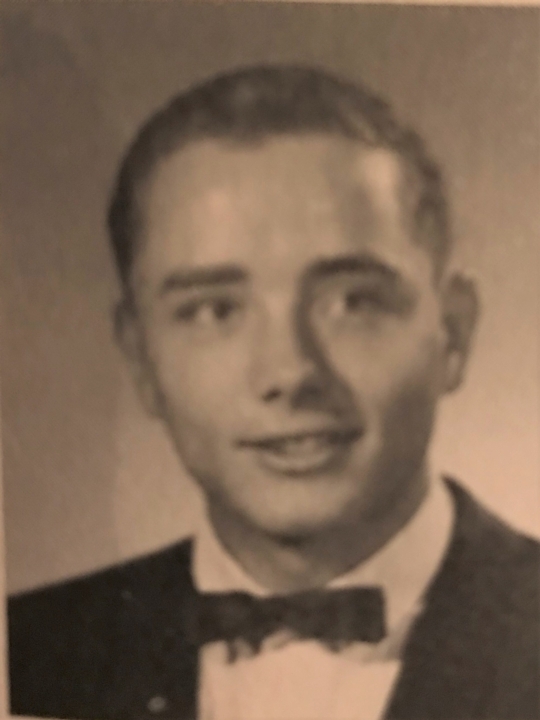 Stan was a dedicated member of the Church of Jesus Christ of Latter-day Saints and served in both ward and stake callings and as a stake missionary. His favorite church calling was working with the Weblos Scouts. He always acted on promptings and felt close to our Heavenly Father and the Savior. He grew up in Rose Park and Holladay, Utah, and attended Olympus High School and the University of Utah, graduating with a degree in Electrical Engineering. He was our “Rocket Scientist.” After graduation, he moved to California to work as a civilian for the U.S. Navy. While there, he served in the California National Guard. On August 4, 1972, he married Karen Vee Thayne in the Salt Lake Temple. They had four children; Anissa, David, Mathew and Susan. They moved back to Utah to raise their family in Fruit Heights. At that time, Stan began a long career working for the U.S. Air Force. Karen passed away on September 15, 1982, leaving a young family. On January 12, 1985, Stan married Rosanne “Anna” Neff in the Salt Lake Temple. She adopted, loved, and continued to raise those wonderful children. Stan was a loving husband and father. His family was most important in his life, and each member felt well-loved. If a family member had an interest in something, he bought a book about it so he would know more about what they were doing. He loved his books, had hundreds of them, and read them all. He loved physics, science, math, computers, Einstein, Newton, and Feynman. He also loved studying German, Hebrew, Chinese and Russian. He was preceded in death by Karen Packer; his parents; mother-in-law, Annie Monson Thayne; fathers- in-law, Ernest Thayne and Gordon S. Neff; grandson, David Brandon Chard; and brothers Alan and Wayne. He is survived by his loving wife, Anna; children , Anissa (Tony) Chard, David E. (Amber), Mathew W. (Jill), and Susan; precious grandchildren Sara, Aimee, Zoey, Stephanie, Jarek, Alex, Emily, Tyler and London; brothers, Steve, Rod and Randy; many nieces, nephews, and extended family as well as dearly loved friends and neighbors. The family expresses appreciation to the wonderful medical staff at Davis Hospital ICU and Stan’s Dialysis team. Special thanks to Drs. Ryan McDonald, Gerjeet Grover, Bruce Burtenshaw and Landon Preece. Thank you also to our family, friends and the FH6 ward for all of your love and support. Funeral services will be held Friday, September 1, 2017 at 11 a.m. at the Fruit Heights 6th Ward, 77 S. Orchard Dr. (1325 E.), Fruit Heights. Friends may visit with family on Thursday from 6 to 8 p.m. at Lindquist’s Layton Mortuary, 1867 N. Fairfield Rd. and Friday from 9:30 to 10:30 a.m. at the church. Interment, Lindquist Memorial Park at Layton, 1867 N. Fairfield Rd. In lieu of flowers the family suggests contributing to the Church of Jesus Christ of Latter-Day Saints general missionary fund or doing a good deed for someone in need. Click here to see Stan's last Profile entry.